Our ability to grow in our faith is an important part of our Christian path. 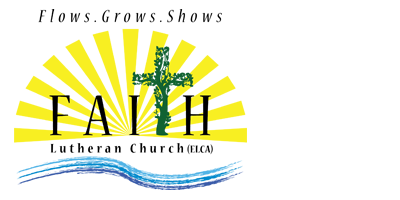 At Faith Lutheran, we provide many opportunities to expand our understanding of relationship to God, Jesus, and our wider community. Join us on Tuesday mornings as we begin with breakfast and fellowship. We then read and reflect on the upcoming Sunday’s gospel lesson and discuss its significance in our lives. Check the Calendar page for exact times and locations. Join us on Wednesdays at 7:00 a.m. at Faith as we share where we’ve seen God in our lives, share answered prayers and prayer requests, and spend time in prayer together. Children: We have three Sunday School classes for Children on Sunday mornings at 9:30 a.m. – Pre-K through 2nd Grade, 3rd Grade through 6th Grade, and Middle/High School. Adults: We meet on Sunday mornings at 9:30 a.m. for a variety of studies throughout the year. Our 7th-9th grade confirmation program involves a variety of facets. Each youth is paired with a mentor and meet monthly to work on an assigned project. Each month the youth and mentors meet for an evening of activities, fun, and instruction. Each Sunday the youth meet for a Sunday School session on Bible or Lutheran beliefs. The youth and their families are encouraged to engage in faith acts in the home such as bible reading, conversation, prayer, and blessings.